In 1893, Detective Inspector William Race of the Metropolitan Police met with two journalists working for the Sun newspaper and told them that he knew the identity of Jack the Ripper. Less than three weeks after the last Whitechapel murder, Race had arrested 25-year-old Thomas Hayne Cutbush for attacking two young girls with a knife. Having worked on the Ripper case, Race noted a number of startling facts that convinced him he had in fact arrested Jack the Ripper. Race’s superiors, perhaps embarrassed by the fact that one of them, Superintendant Charles Henry Cutbush, was Thomas’ uncle, ignored the inspector’s suspicions, so he eventually decided to got to the press. The Sun newspaper set about investigating Cutbush, gathering startling new evidence and compelling eyewitness testimony. When they published their results they caused a sensation, leading to the once secret and now infamous, deeply flawed Macnaghten Report (1894) in which the Chief Constable of the CID dismissed Cutbush as a suspect. As a result, Cutbush has been ignored as a serious Jack the Ripper contender ever since. In The Man Who Would Be Jack, the author re-examines Inspector Race’s and the journalists’ findings and tells their truly incredible story. This fresh and exciting detective whodunnit whips along at a cracking piece, culminating at the moment where the two journalists finally gain access to Broadmoor and stand face-to-face with The Man Who Would Be Jack. The book then concludes with the amazing discovery by the author of Cutbush’s Broadmoor files and other documents that shed new light on this most extraordinary case. 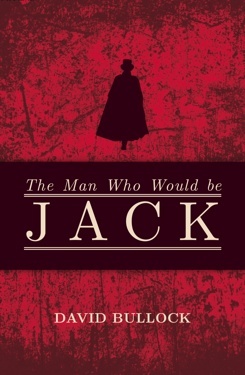 The author does not make the mistake of simply claiming that Cutbush was Jack, only that when the stories of the Ripper and Cutbush are told side-by-side, they steadily merge into a tantalisingly logical conclusion: Thomas Cutbush is the most likely of all the suspects to be the Man Who Would be Jack. "suspenseful prose, as good as any fictional murder story." "As well as providing the factual evidence to overturn this decision, David Bullock describes the historic crime scenes so luridly and so vividly that the reader becomes quite taken up in the story's 'horrific' momentum. " "I cannot fault this book. After reading it I was left with one, inescapable conclusion.Thomas Hayne Cutbush was indeed The Man Who Would Be Jack! Highly Recommended. " "The book evokes the darker underside of London in the late 19th century... It gives strong characterisation of the victims, the likely killer and those who sought to bring him to justice." "Brilliantly researched and expertly written." "It is one of the volumes every Ripperologist should have on their bookshelf." "An engaging atmospheric read, this account of the life and crimes of Ripper suspect Thomas Cutbush brings to life the seamy and violent side of Victorian society." "As someone who has over the years researched and read many books on Jack The Ripper, I have never been more convinced that a researcher has identified who he was more clearly than David has. The evidence he has uncovered, especially from Broadmore is new and very strong. His further research into family connections and crimes previously unconnected shows a determined approach that has in my opinion been rewarded with a watertight case. Read the book I think you'll agree. Rarely is a factual book such a page turner." " David Bullock's meticulously-researched book is a welcome addition to the serious works in this field, casting light on a hitherto neglected suspect. Yet far from taking a dry, academic tone, his lively writing style brings the period and, in particular,the exploits of Thomas Cutbush, to life. " 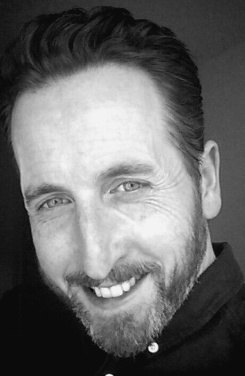 "As you’d expect from a Jack the Ripper walking tour guide, David Bullock excels as a narrator... A thrilling tale. " Congratulations to agency authors David Haviland, Gavin Evans and David Bullock who have been selected as finalists in The People’s Book Prize .